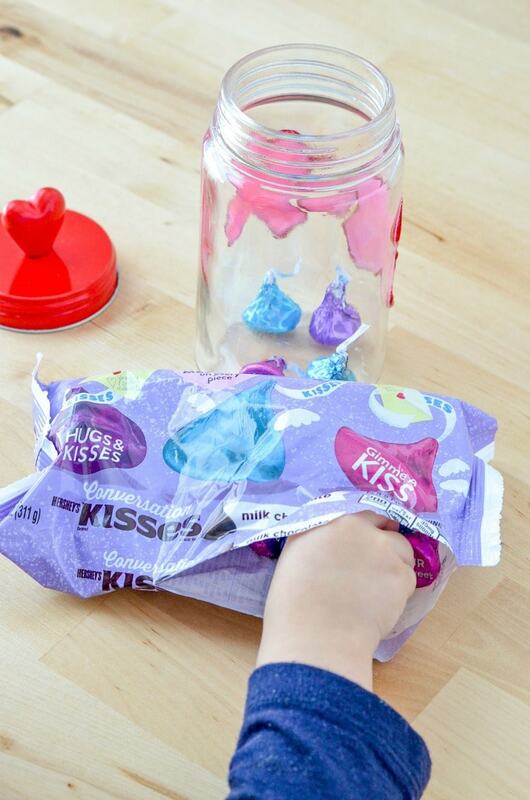 Kid-friendly Hugs and Kisses Candy Jars for your Valentine on Valentine’s Day! 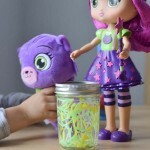 Kids will have a blast making glass jar crafts. 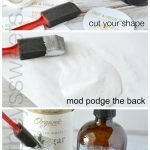 Mason jar painting is super simple and if you use acrylic paints it will stay on for a long time and you can also use a sealer. 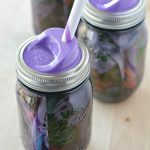 Painted mason jar ideas are great mason jar crafts for kids because they aren’t a piece of paper that you may lose or might get torn. 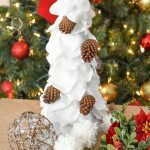 This is a super simple kid friendly craft that my daughter and I did the other day. 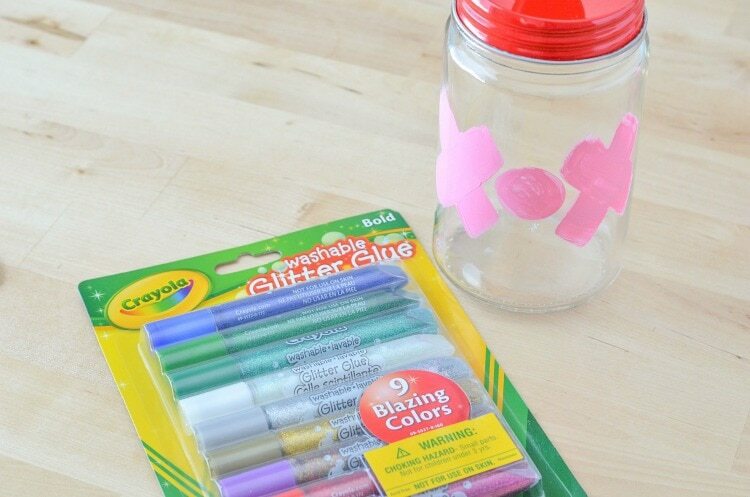 All you need is a mason jar, acrylic paint, paint brushes, and glitter glue pens. 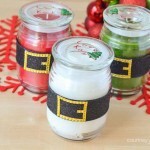 We love to give gifts and we love to make them homemade whenever possible. 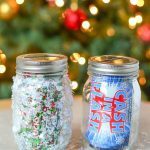 This is a fun gift, but also something your child can make for themselves. My daughter loves candy and crafts. This was a really fun one to do together. 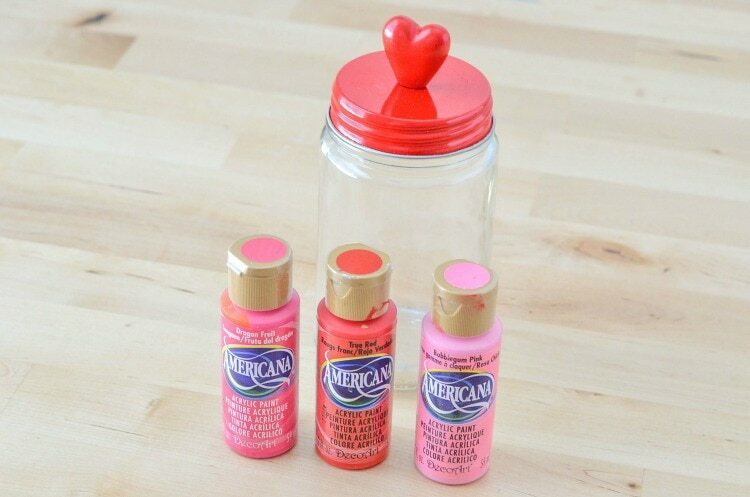 I let my daughter pick out a few different pink and red paints for this craft and she picked out the mason jar as well. You can do any colors you’d like, not just the ones we chose. For the outline we used glitter glue but if you wanted to just purchase loose glitter and sprinkle over the wet paint that works too! I really thought it was fun for her to outline, great for children learning gross motor skills. Then the fun part happens once the paint is dry. 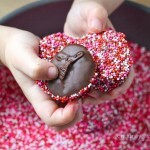 You simply fill with your favorite candy! My daughter loves these, so that’s what we chose. You could even make something homemade if you’d like. The filling options are endless! You could even use as a coin bank, pony tail holder, pretty much whatever tiny little things you’d like to keep in a jar can go in here too! We have so much creating crafts and can’t wait to share more with you. It’s a great way to create memories and keepsakes. 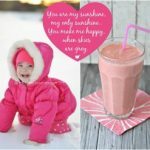 It’s so much fun seeing my daughter’s excitement when we take a few things and turn it into something else!